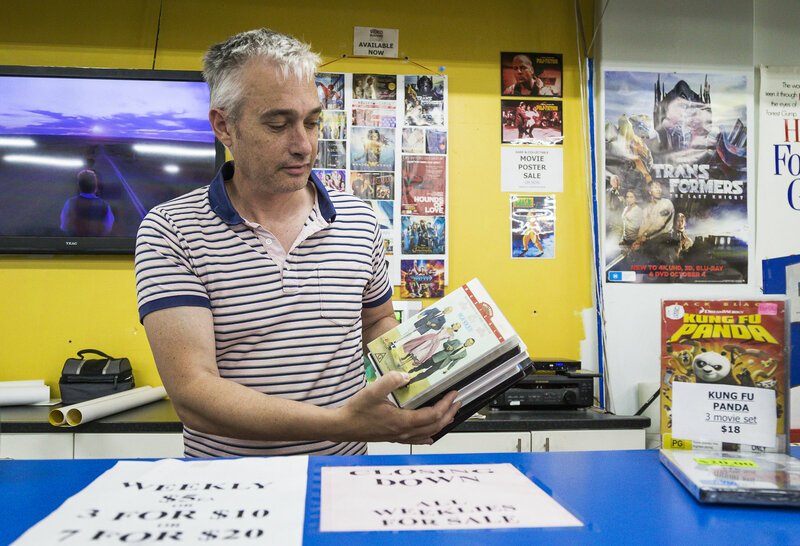 Video stores have been on borrowed time for a few years, once people started downloading their favourite TV shows and movies—legally, or illegally—the writing was well and truly on the wall. Your local Network Video, Blockbuster, or Video Busters started disappearing quicker than a plate of doughnuts at The Urban List HQ. But there's one video store that is still open in Melbournes inner-east, although very soon it'll be closing its doors for good. 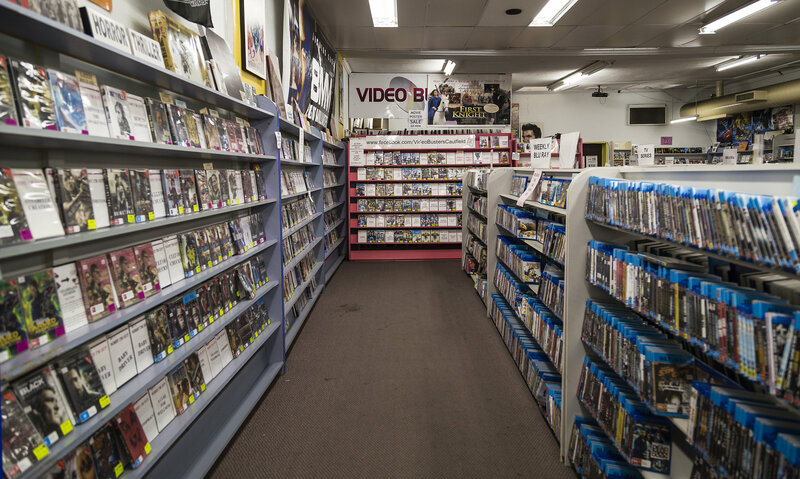 Video Busters in Caulfield is the last non-franchise of what was once 49 stores throughout Victoria. It's time has come and they're slowly winding it all up. Recently Aron Lewin of Tales Of Brick & Mortar interviewed the team, you can check out the full interview below. Two sets of brothers established Video Busters. They started in West Meadows, and Caulfield would have been their 10th or 15th shop. In the 80’s, it was huge. I started in 1992 and—at one point—we had 49 stores. I was working between all of them. We initially hired out VHS and – in the early 2000s – they started being replaced by DVD’s. But, with the development of streaming services over the last few years, it’s become really tough to run this type of business. It’s gotten to the point where turnover has dropped, and business costs dictate that we can’t remain open. There’s one more Video Busters in Gisborne, and that’s a franchise store. I was 18 and I answered an ad in the back of the paper. I got a job working part-time while I was at school studying. I became a manager then the area manager. Back in those days it was a prerequisite for the staff to watch the new movies coming out each week, and we’d get previews from the companies for all the films coming out in the month ahead. It was awesome. I’d work my shift then I’d watch 1-2 movies at night. We would discuss the movies with customers but, as I’ve gotten older, I’m perhaps not as keen. I have little kids at home, and I have less time to sit down and watch movies. Now I’d be lucky to watch one movie a week. But there was no Rotten Tomatoes, so customers would rely on your judgment. If you gave them a dud film, they’d let you know. We had a shop in Smith St, Collingwood and—at one point—it was the biggest video shop in Australia. It was an old supermarket filled with 60,000-70,000 films. It was our main store and – whatever got released each month – we’d buy it. We bought everything and, over time, we built this unbelievable range. I worked there for about 20 years and I know a lot of the customers from the area. There were kids who would come in, and now they’re married with kids. But we downsized over time, sold movies and this is what we have left from all of our stores. What we have is what we display. You get the grumpy idea that movies were better back in the day. But I think that’s a myth. There are still great films, and you’ve always gotten duds. But Hollywood has definitely changed. It’s about visual effects rather than the storyline, and perhaps there’s more focus on the bottom line. And I reckon people are also being led down a path of being told what to watch, with a bit of here and there regarding choice. What I think tends to happen is there’ll be a concept, and five or six similar movies will be made over a short period of time. There’ll be a cluster of car films, chase films or disaster movies but no one makes B-grade horror films anymore. There used to be a huge market for it but that genre sort of died out. Everyone thinks late fees is where we make our money. It’s about 15-20 per cent. People did get antsy about it and—with some of our shops—we didn’t charge it. What would happen is that movies wouldn’t come back as there’d be no urgency to return the movies on time. We’ve had people return films years after hiring them. We basically charged the replacement cost of the movie as a maximum, but there have been cases where – if a movie is not returned after a certain period of time—debt collectors would chase up that money. Back in the day videos were really expensive—one VHS was about $120—so the non-returns would add up. But in the last ten years we introduced a 50 percent on the spot reduction fee which eased a lot of the pressure. If they owed $50 we’d say, “if you pay now it’s $25.” They leave happy, we’re okay and it’s more or less sorted. We’ve tried different things over the years. At one point we were running an internet café and had gelati bars in some of our stores. We also went through a stage where all of our movie hires were $2 rather than $3-$6. In the end, this as the core wasn’t enough. I don’t know whether the physical medium is gone forever. I really don’t know. They’re still making movies, but there’ll be no real way of physically exploring film in the future. I suppose you can scroll online, but the beauty of having a library is you can go on that journey through movies. You can look at “On the Waterfront” and see it’s Elia Kazan and Marlon Brando. Picking up a random film and surprising yourself with how good it is or how bad it is. That experience is going to be lost. I genuinely think 50-60 percent of the population still watch movies like this. And a lot of people have said that they grew up here. They have been coming in and saying, “what am I going to do?” I don’t know how I’ll watch a film either. I don’t have Netflix or Stan or any of these things. At the moment a lot of movies aren’t available online, and a large number of people aren’t connected or don’t want to stream movies. I guess local libraries are probably the best avenue but the range is the issue. Most areas used to have 2-3-4-5 video shops but – over the last ten years – that’s shrunk. We staggered the closure of our stores and, whenever the leases ran out, we rarely renewed them. Initially we thought that we might remain resistant to some of the changes that have occurred, like vinyl stores. But, at the end of the day, there hasn’t been enough demand to stay open. All of our customers are almost shocked that we’re actually closing. We’ll probably close down around February. There are over 30,000 movies here and I don’t think we’ll sell everything. Whatever is left will be sold online. Maybe this business should have closed a few years ago but we’ve been pushing it in the hope that things would change. There are many Melbourne restaurants that have been around for many years and are still going strong. Here are 8 Melbourne dining institutions that you should've been to by now.